Looking for a Self-Directed IRA that is free? At American IRA, you can eliminate annual account fees! You’ll get $50 off your annual account fees the year following the date they become our client. They’ll get $25 off their account application fee when they open and fund their new account with American IRA. You can refer as many people as you like…we’ll just keep stacking those credits up for you and applying them to your future annual account fees. Refer enough new clients and you’ll find your credits will pay for your annual account fees the following year! Click here to print this coupon out. Fill in your name and the name of the investor you gave the voucher to. When the investor decides to become an American IRA client, they must submit the coupon along with their application. Coupons submitted without an application will not be accepted. American IRA will be in touch to thank you and to let you know which referral became a client. As a current client, you will receive a $50 credit towards annual account fees in the year following the date your referral becomes a client of American IRA. 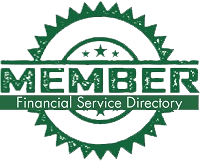 The investor you referred will receive $25 off their account opening fee after they have opened and funded their account. Coupon may not be converted to cash. Coupon may only be applied to future annual fees or as a discount on a new application fee. The client referral coupon must be filled out completely. The coupon must be received by American IRA at the same time the application is. Coupons submitted without an application will not be accepted. New client is defined as an individual (or entity) who has never been a client of American IRA. This coupon may not be combined with other offers. This coupon expires December 31, 2015.